Yeah, I was kind of tired of having all the time the same two userbars (though were two userbars I created and were extremelly cool! ), so I've decided to randomize them! So now I have two random userbars. Si, bueno, estaba un poco cansado de tener siempre las mismas dos userbars (aunque eran dos userbars que molaban que te cagas porque las había hecho yo! ), así que he decidido randomizarlas (del verbo randomizar, que se conjuga como sodomizar). Así que ahora presiden la página dos userbars aleatorias. Posteado por Valaingaur a las 9:29 am 3 Comentarios al respecto Comenta o sufre mi ira! Ya lo dije el año pasado. Pero lo vuelvo a repetir. Me parece absurdo y denigrante, como me parece absurdo y denigrante el día de la mujer. Yo quiero y respeto a mi madre, a mi novia y a mis amigas todos los días del año. No necesito un día del calendario para acordarme de ellas. Lo mismo para el día de difuntos, (o todos los muertos, o como lo llameis en cada sitio). Me parece incluso triste que tenga que haber un día del libro, sobre todo teniendo en cuenta que somos un país donde las estadísticas dicen que la gente lee un libro al año (eso es la media, así que imagínate), y donde mucha gente compra libros sólo porque quedan bonitos en la estantería, y te hacen parecer más intelectual, pero en realidad prefieren mirar cualquier mierda en la tele. Somos como somos, y punto. Nunca me han gustado las etiquetas y no van a empezar a gustarme a estas alturas de mi vida. Y no creo que tenga tantas cosas en común con un montón de capullos que hoy saturarán plazas, calles y parques. No necesito llevar una bandera. No necesito salir en la tele. Yo estaba más cómodo en un mundo que nos temía y nos odiaba. Ahora nos toman por ardillas amaestradas. Sé friki todo el año. No dejes que cuatro gordos con pintas te digan como vivir tu vida. Posteado por Valaingaur a las 5:39 pm 4 Comentarios al respecto Comenta o sufre mi ira! Posteado por Valaingaur a las 7:35 pm 1 Comment Comenta o sufre mi ira! You can find all the Transformers trailers here. Creo que me he corrido. Podeis encontrar todos los trailers de Transformers aqui. Posteado por Valaingaur a las 1:07 pm 1 Comment Comenta o sufre mi ira! Found at War is Stupid Dot Com. And there are many more quotes worth giving a thought. Posteado por Valaingaur a las 3:40 pm 1 Comment Comenta o sufre mi ira! How will Wolverine react to the death of one the most beloved characters in the Marvel Universe? He ain't buyin' in! Join Logan as he tries to track down the truth and he's not going to be happy when he does! The secret story that will transverse the post Civil War landscape – and stars Marvel’s most popular characters – begins here! How do people with amazing powers face a force that no one can fight? Who has fallen, and is more violence coming? With Wolverine on the scene, is there any question? Be there as superstar Jeph Loeb teams with the industry’s top artists on a story that will have everyone talking! Loeb! Leinil! Logan! dangerous. But, once there, Roland learns to his horror that he is no safer. Hambry’s leaders have switched allegiance and the assassins known as the Big Coffin Hunters have marked Roland and company for death! Plus articles and bonus features galore! ©2007 Stephen King. All rights reserved. Not read yet. Waiting for a nice HC edition. The Zombie plague spreads, turning an entire world of super-powered heroes and villains into bloodthirsty walking dead! And only one man—armed with a deadly boomstick, a sharp tongue and movie star looks can stand against them. It’s Ashley Williams against the zombie incarnations of Spider-Man, the Punisher, the Avengers and dozens more. These guys don’t stand a chance! ARMY OF DARKNESS TM & © 1993-2007 Orion Pictures Corporation. DYNAMITE ENTERTAINMENT TM & © 2007 DFI. “BATTLE FOR ETERNITY” PART 1 (OF 7)! 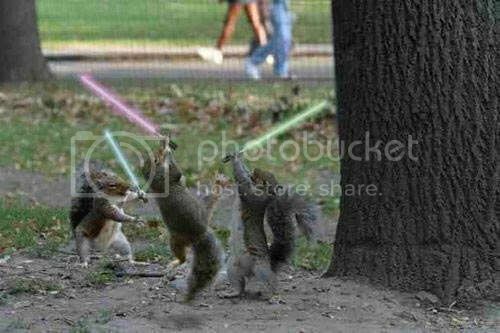 The fight has begun. The battle that’s been building since the very beginning of the series is finally coming to a head. Captain Britain must take on his opposite for a battle that will be waged upon many worlds. From the pages of CIVIL WAR: THE INITIATIVE comes Canada’s newest super hero team! But this is not your father’s FLIGHT. Bold and daring, OMEGA FLIGHT is the best 5-issue series you’ll EVER read. A dead super villain possessed by the Prince of Lies. A survivalist cop with an arsenal of weaponry. And now, an army of flesh-eating zombies poised to destroy everything in their path. There are times that being the Spirit of Vengeance is a real pain in the bike seat. But it turns out that Ghost Rider has one advantage that no one else can claim in the town of Sleepy Hollow, IL: he doesn’t have any flesh to get chewed off. WHO IS THE NEW RONIN? Superstar artist Niko Henrichon (Pride of Baghdad) joins Paco Medina for a special prelude to the New X-Men adventure of the year. It’s story time for the New X-Men, and Blindfold is spinning them a tale that will plunge the students of the Xavier Institute into a hell (or is that Limbo?) they cannot imagine. And what does this have to do with House of M and Illyana Rasputin? Everything! War rages across the entire Shi’Ar Empire! Emperor D’Ken is back and his new right hand man, Vulcan, plans on doing some truly terrible things to Charles Xavier! But the X-Men and Starjammers are en route to save him. This could turn into a suicide mission quicker than you can say M’Kraan! Part 11 (of 12)! A grave battle with Cobra has left the White Tiger in critical condition on a rooftop. Consequently, Cobra and Sano Orii are still on the loose and causing mayhem on Chaeyi’s behalf. With super human venom flooding her body and killing her with each heartbeat, Angela del Toro reaches out to an old, but familiar face---her uncle Hector Ayala, the original White Tiger. Can the mystical amulets cheat the confines of mortality? Or is Hector’s appearance the chilling whisper of imminent fatality? Yet, a new superpower from within her is a cause for hope, but is it enough to overcome death? The light at the end of the tunnel is barely flickering…but has the new White’s Tiger’s life already been extinguished? Adapted from the novel by New York Times Best-Selling author Laurell K. Hamilton, ANITA BLAKE: VAMPIRE HUNTER in GUILTY PLEASURES takes readers on a dark adventure through the underworld of an alternate reality where vampires, werewolves, and other supernatural creatures are legal citizens of the United States. Find out why this series has been called “the surprise hit of 2006!” by fans and critics alike! Not read. Waiting for the TPB. Sin leer. Esperando al TPB. In his never-ending battle against Truth, Justice and the American Way, Deadpool decides to foil -- yes, we did say foil -- the escalating mercenary cred being gained by his sort-of doppleganger -- yes, we did say doppleganger -- AGENT X! But... what will DP do if, in the course of his making a big mess of Agent X's assignment, he finds out that Agent X is working on the side of the good guys? Meanwhile, some very big subplot stuff with Cable that we're not telling you yet! Part 3 of 4. ULTRON IS BACK and, yes, now he's a she. What?? Ultron's a girl?? It’s Ultron as only Frank Cho can bring it. And the Mighty Avengers haven't had a moment to get to know each other before they are thrown into one of the most epic adventures in the history of the Avengers. He’s through baiting you, taunting you. He’s ready to throw down. A ghost from your past with an intimate knowledge of your moves. And when he’s through with you, you’re really gonna need to pray to your God. To Khonshu. Because this guy, he wants your “A Game” in round two. He wants the whole Moon Knight experience. The truncheon. The blades. The ‘copter. The whole nine yards. Question is, are you prepared to bring it? Guest-Starring the Punisher! How do you defeat an opponent you can't hurt, much less kill? How do you fight someone that's brutalized you all your life, and enjoys it? X-23 had better figure it out quick, because the assault on X and her newfound family isn't over. Kimura has just entered the battle, and she won't stop until X-23 has been returned to the Facility and her family is dead. With Mutant Town under siege and the X-Cell having taken refuge there, X-Factor races both the clock and their own divided allegiances as they try to stave off the very real possibility of every former mutant being rounded up and imprisoned as a potential terrorist. But will they have to reveal their knowledge of M-Day's secret...and, if so, what will the fallout be? The devastating end of Civil War has two decidedly different reactions from the Mighty Avengers and the New Avengers! If you thought heroes were divided during the War, just wait until the aftermath! That’s right, it’s both teams in one book, and we got the superstar team from Superman/Batman – Jeph Loeb & Ed McGuinness – to take on Earth’s Mightiest Heroes…and the Avengers Assemble like never before! While Sabretooth and Slaymaster try to finish each other off in a deadly battle, Psylocke goes head-to-head with Reed Richards. Her mission, to kill this world’s last hero. But will the power-crazed Sue Storm beat her to the punch? The saga of Mowgli and his brothers, adapted from Rudyard Kipling's THE JUNGLE BOOK by comics legends Gil Kane and P. Craig Russell! Originally presented in MARVEL FANFARE #8-11. Includes sneak previews for the upcoming Marvel Illustrated line of books featuring the Last of the Mohicans and more! Esto puede ser muy interesante!! De todas formas, esperaré a una edición en HC. Captain Britain faces his darkest foe. ALBION has come to save Britain, and in the process, destroy a world! Nocturne is on the ropes, Juggernaut’s in love, Dazzler sings the blues, Wisdom sells MAX books, and Sage is stoically beautiful. You don’t dare miss “BATTLE FOR ETERNITY” part 2! The pressure builds on Black Bolt. The hawks in the Inhumans council are calling for all-out war and as he struggles to make his fateful decision, Black Bolt finds himself betrayed. As if that weren't enough, a terrible secret from his past is revealed. It’s enough to make a man scream. Behind the X-Men's worst nightmare there's a bigger nightmare waiting in the wings. Hecatomb has dropped from deep space onto the island of Providence, bringing death to whatever he touches - and Cable receives an offer of help from a truly terrifying source! Be here for the story leading into the milestone 200th issue! Part 2 (of 3)! Their latest mission takes the X-Men into one of the world's deadliest jungles, where even the mutant mind of Charles Xavier cannot guide them safely. No, an expedition like this requires a GORILLA MAN! Posteado por Valaingaur a las 1:10 pm 1 Comment Comenta o sufre mi ira! Try this!! 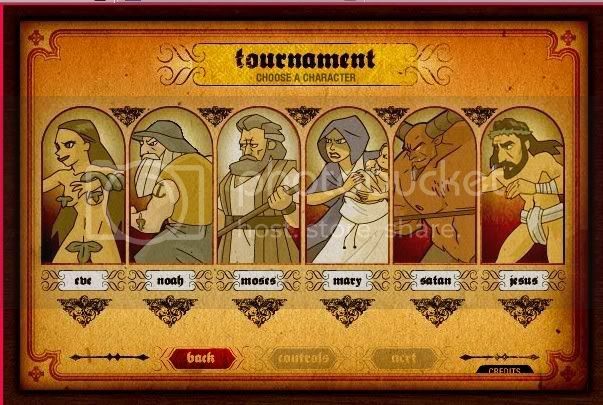 Is an arcade fight game (Street Fighter style)... with Biblical characters!! Satan rules!!! Probad esto!! Es un juego de pelea (en plan Street Fighter)... pero con personajes bíblicos!!! Satán rules!!! Etiquetas: English, Friki / Geek, Interactive, WTF?